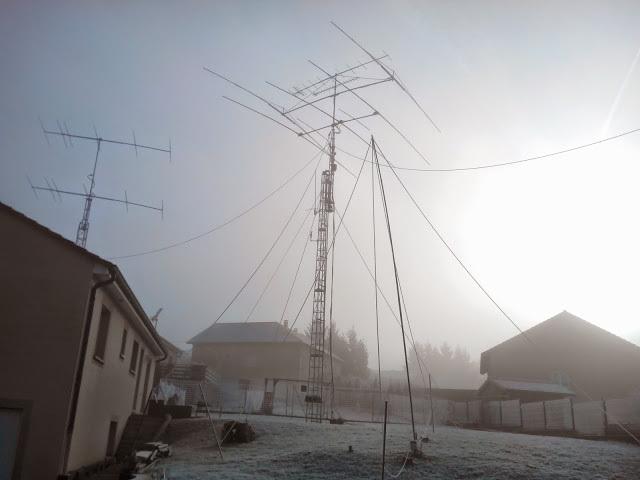 Since December 2017 i use K9AY with 34m loops top at 8m and horizontal parts are 7,5m longs. 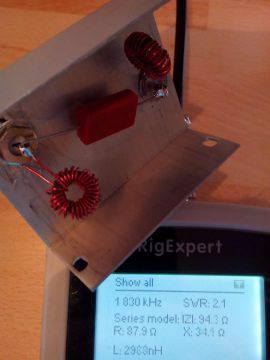 January 2015, I use an homebrew special K9AY 2 * 43m loops antenna with a 16dB dual-fet push-pull preamplifier. Also an homebrew filter permit to have a good RX on 160m band because of local broadcast on 183Khz and + 234Khz and 1422/1179Khz. 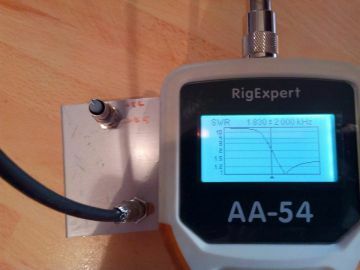 K9AY works fine but, it is better to keep antenna near the ground , 20cms to 80cms max for the best, F/B and directivity. You can use 8 radials arround 7-10m long for exemple to have a better results if your ground is poor. 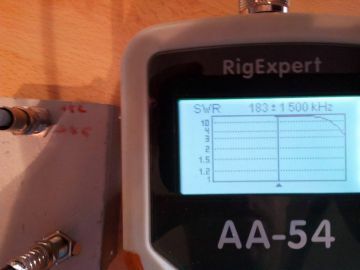 My tests at 1 and 1.5m of the ground for the lowest wire at the switching box was not as good, directivity and F/B was poor. View in January 2015 ants frost !